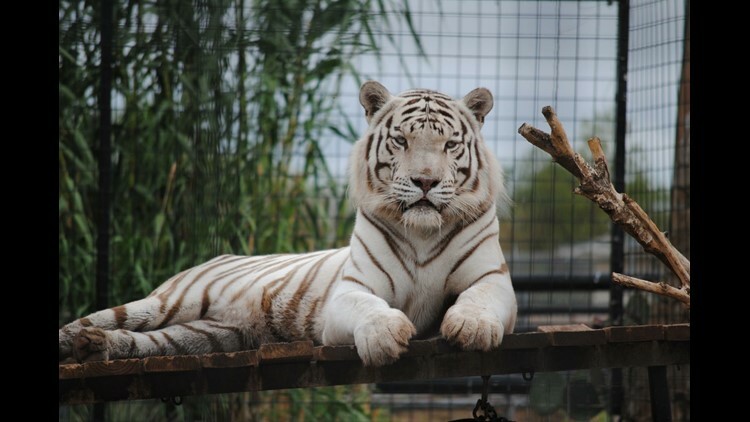 ABILENE, Texas — Havar, a beloved Bengal tiger, who was a longtime attraction at the Abilene Zoo, died unexpectedly Friday morning. A press release from the zoo said Havar's charismatic personality captured the hearts of staff, guests and the community through his many years in Abilene. Havar was considered geriatric, but zoo officials said his death was unexpected. Because of his nature and "endearing" temperament, the zoo said Havar "will forever remain an iconic figure of the Abilene Zoo and the community." “We are devastated. Our animal care team was with him conducting their early morning routine when he died. He was such an incredible tiger and was loved by us all.” zoo veterinarian Dr. Stephanie Carle said. Havar was rescued from a private individual and donated to the Abilene Zoo on June 2, 2009. He was approximately 18-20 years in age. At this point in time, the release said, it does not appear Havar’s death was caused by anything beyond his advanced age. “Due to the outstanding care of our medical staff and animal care team, our collection contains a large number of elderly animals. However, you are never emotionally prepared for their loss.” Interim Zoo Director and Assistant Director of Community Services Chris Gibson said. Bengal tigers are listed as endangered with as few as 4,000 left in the wild. The Abilene Zoo said it hopes the memories of Havar will inspire the community to save wild things in wild places. Donations can be sent to the Tiger Conservation Campaign, which serves to save tigers in the wild.